I. There is no god (existence of supernatural power) in Buddhism. Do not believe in traditions merely because they have been handed down for many generations and in many places; do not believe in anything because it is rumoured and spoken of by many; do not believe because the written statements of some old sage is produced; do not believe in what you have fancied, thinking that because it is extraordinary, it must have been implanted by a deva or a wonderful being. After observation and analysis, when it agrees with reason and is conducive to the good and benefit of one and all, then accept it and live up to it. Accordingly Buddhism requires nothing to be accepted on trust without enquiry. Meaning no killing of living being. Meaning no consumption of toxicating drinks. Parami is a pali word meaning perfection. To purify one’s mind, this is the advice of Buddha. That is what man wants for good and happy life on earth. 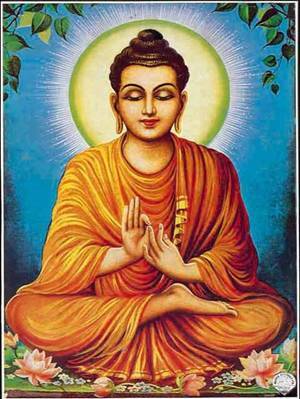 thanks for keeping me update n giving valuable information regarding Buddhism & Babasaheb. Thanks a lot.